In this innovative and revelatory work, Igal Halfin exposes the inner struggles of Soviet Communists to identify themselves with the Bolshevik Party during the decisive decades of the 1920s and 1930s. The Bolsheviks preached the moral transformation of Russians into model Communists for their political and personal salvation. To screen the population for moral and political deviance, the Bolsheviks enlisted natural scientists, doctors, psychologists, sexologists, writers, and Party prophets to establish criteria for judging people. Self-inspection became a central Bolshevik practice. Communists were expected to write autobiographies in which they reconfigured their life experience in line with the demands of the Party. Halfin traces the intellectual contortions of this project. Initially, the Party denounced deviant Communists, especially the Trotskyists, as degenerate, but innocuous, souls; but in a chilling turn in the mid-1930s, the Party came to demonize the unreformed as virulent, malicious counterrevolutionaries. The insistence that the good society could not triumph unless every wicked individual was destroyed led to the increasing condemnation of Party members as helplessly flawed. 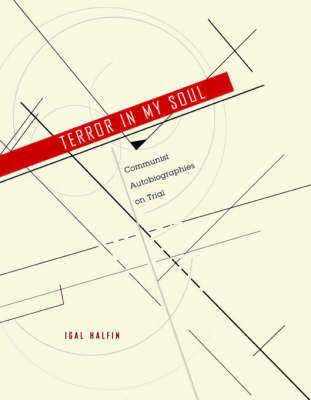 Combining the analysis of autobiography with the study of Communist psychology and sociology and the politics of Bolshevik self-fashioning, Halfin gives us powerful new insight into the preconditions of the bloodbath that was the Great Purge.